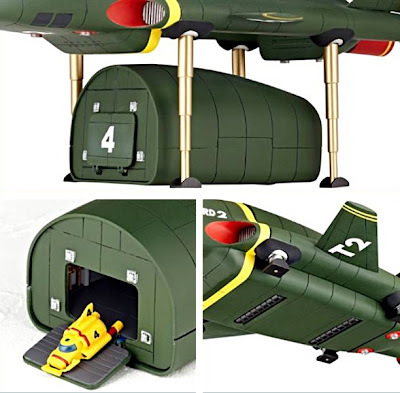 The Revoltech TB2 is a ready-built, not a kit, but it still features plenty of detail, including a four-part display stand, detachable cargo pod with same-scale Thunderbird 4 inside, and multi-position landing gear. The pod door opens to reveal the TB4 waiting for action, plus a fair amount of detail inside the pod, which shows that Kaiyodo designers have been doing their homework. More than some others perhaps, this TB2 would really benefit from a model kit-builder’s attention to extra detail, by giving it a hefty dose of weathering and dirtying down. After all, TB2 is a fly-anywhere machine, and the pod is designed to be dropped in all sorts of unusual places, so an oily-grease look would suit its fictional uses very well indeed. It will also take away the smooth and shiny, somewhat toy-like appearance of the basic product. 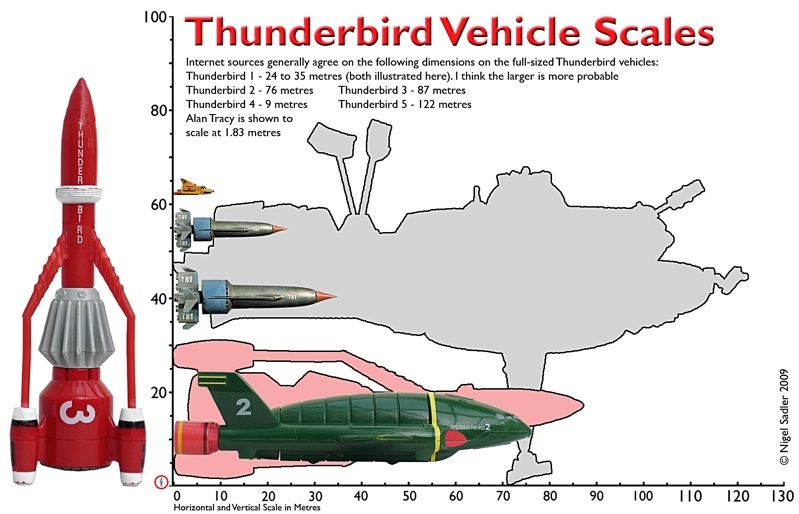 The Kaiyodo Thunderbird 2 measures some 210mm (8.25in) long, giving it a scale of around the 1:360 mark. 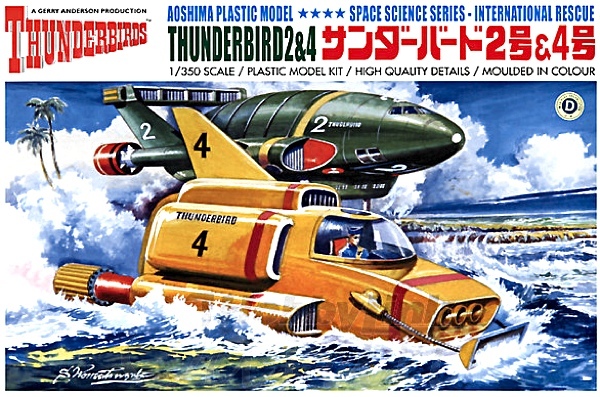 That’s somewhat off-standard, but near enough to be displayed with the 1:350 scale Aoshima H-IID space launcher kit without too many misgivings. 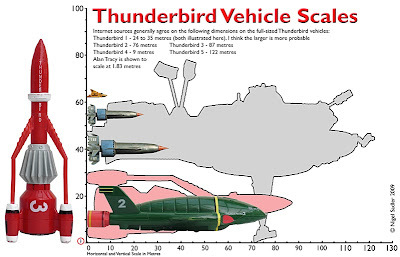 There are other T-Birds available to 1:350 scale, including kits from Aoshima. And if you’re into a fighting fantasy ‘ships of sea and space’ display, there are plenty of 1:350 scale combat craft out there, including Japan’s mighty battleship Yamato from Tamiya. 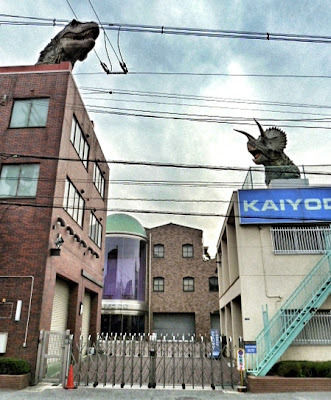 The company is focussed primarily on figures and garage-style kits, mostly Japanese-market anime characters, but better-known subjects are creatures from the movies, such as King Kong and Godzilla. 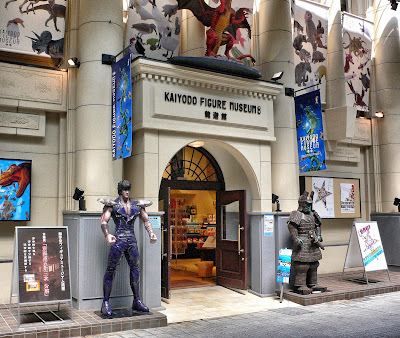 Visitors to Japan could include the excellent Kaiyodo Figure Museum in their travels. As you can see from the pix, the interest starts outside the entrance, and not forgetting that Kaiyodo’s HQ has giant-sized critters lurking on the roof! 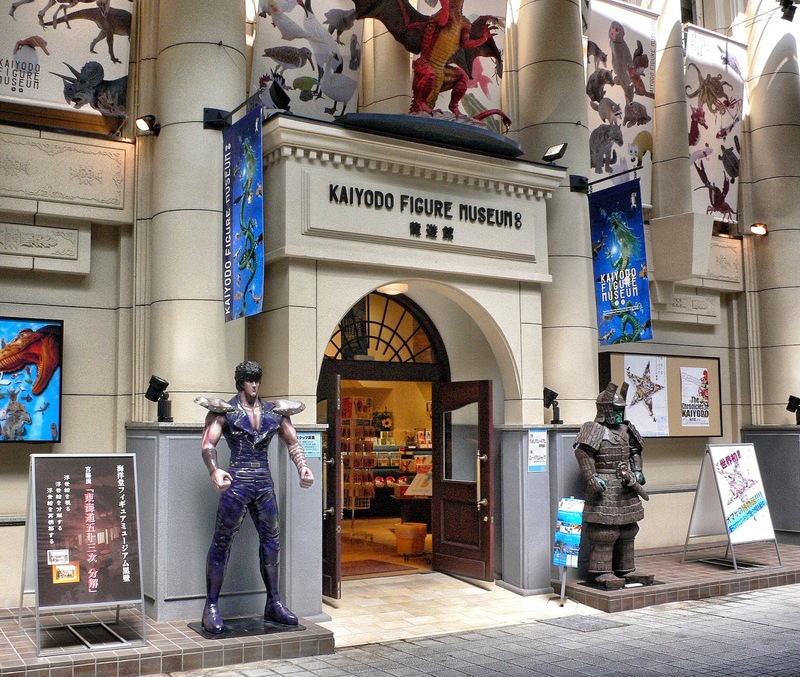 The nifty moniker Revoltech comes from the product description, ‘revolver technology’, referring to the revolving joint articulation used by Kaiyodo. Each joint has three components - two half-spheres and a pin that locks the assembly into place - which give figures a wide range of realistic movement and stability. Not that TB2 has moving arms, but the series name suits it. In fact, the Revoltech range has four main types - Real Robot, Super Robot, Humanoid and Creature. 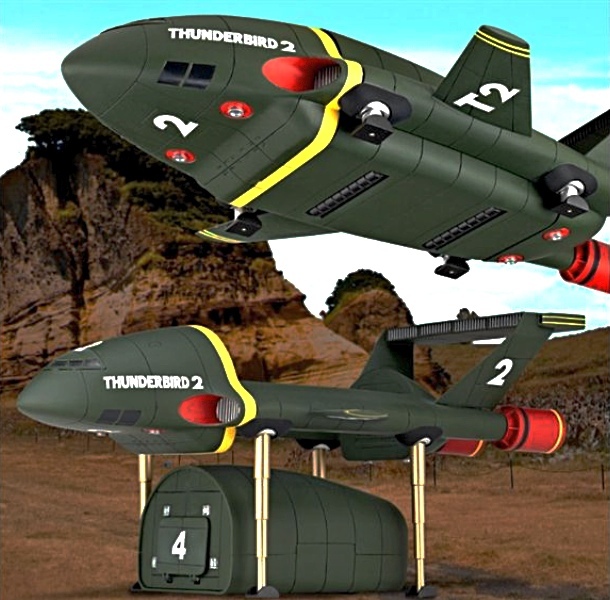 Now it’s the turn of an emergency rescue craft, in the form of Gerry Anderson’s Thunderbird 2. 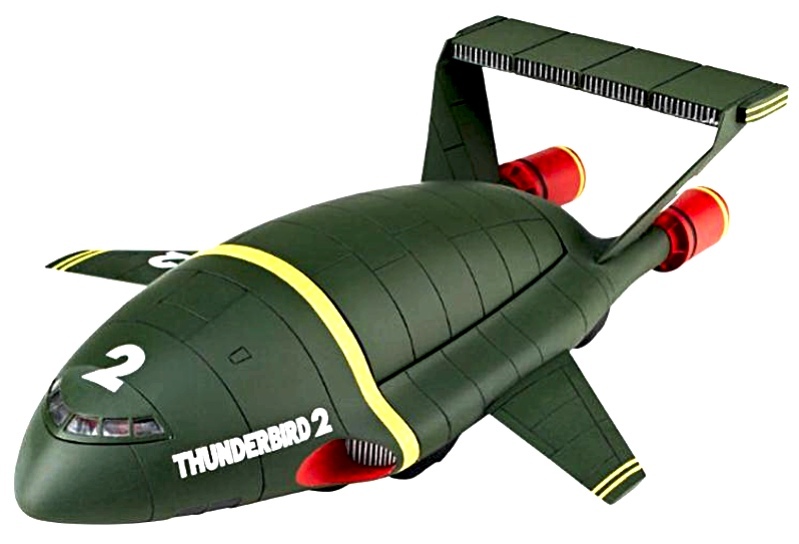 This Thunderbird 2 ready-built looks good, so for Gerry Anderson fans, it’s one to put on the wanted list. The Kaiyodo Revoltech TB2 is due to be released in May/June 2013. Available for pre-order from online stores including Hobby Link Japan.